James Comey was axed. Sean Spicer went down in a heap of ashes. Anthony Scaramucci crashed and burned instantaneously. Reince Priebus hung on for dear life but was finally canned. Seven months in, Steve Bannon got the old heave-ho and soon after, his minion Sebastian Gorka was unceremoniously shoved out the White House door. In a downpour of potential conflicts of interest and scandal, Carl Icahn bowed out. Gary Cohn has reportedly been at the edge of resignation. And so it goes in Pres. Donald Trump’s administration. Except for the generals. Think of them as the last men standing. They did it. They took the high ground in Washington and held it with remarkable panache. Three of them — National Security Advisor Lt. Gen. H.R. McMaster, Secretary of Defense and retired Marine general John Mattis and former head of the Department of Homeland Security, now White House Chief of Staff, retired Marine general John Kelly stand alone — along with Trump’s own family members — at the pinnacle of power in Washington. Those three generals from America’s losing wars are now triumphant. One of them is the ultimate gatekeeper when it comes to who sees the president. All three influence his thoughts and speeches. They are the “civilians” who control the military and American war policy. They, and they alone, have made the president go against his deepest urges, as he admitted in his address to the nation on the war in Afghanistan. “My original instinct was to pull out and historically I like following my instincts.” They’ve convinced him to release the military and the CIA from significant oversight on how they pursue their wars across the Greater Middle East, Africa and now The Philippines. They even convinced him to surround their future actions in a penumbra of secrecy. Their wars, the ones that began almost 16 years ago and just keep morphing and spreading, are now theirs alone to fight and … well, we’ll get to that. But first let’s step back a moment and think about what’s happened since January 2017. The most surprising winner of our era and possibly — to put ourselves fully in the Trumpian spirit — of any era since the first protozoan stalked the Earth entered the Oval Office on Jan. 20, 2017 and promptly surrounded himself with a set of generals from America’s failed wars of the post-9/11 era. During the election campaign, though a general of his choice led the chants to “lock her up,” Trump himself was surprisingly clear-eyed when it came to the nature of American generalship in the 21st century. “Under the leadership of Barack Obama and Hillary Clinton, the generals have been reduced to rubble, reduced to a point where it is embarrassing for our country,” Trump said. On the other hand, the careers of his three chosen generals are inextricably linked to America’s losing wars. Then-colonel H.R. 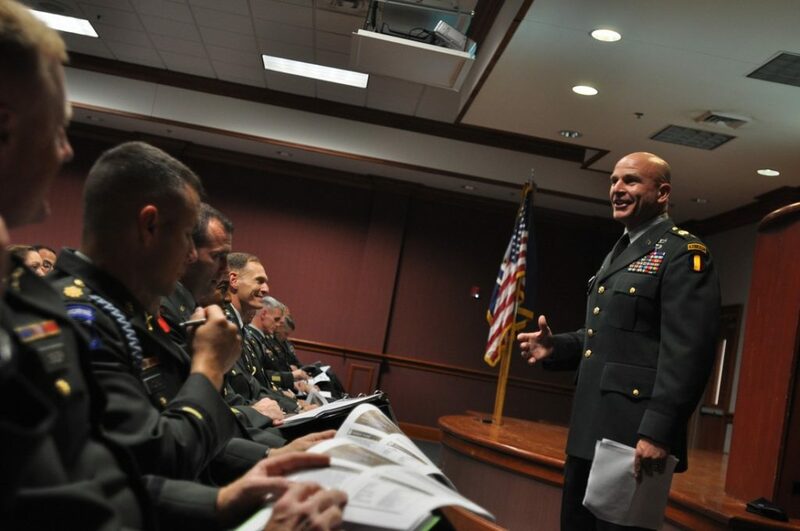 McMaster gained his reputation in 2005 by leading the 3rd Armored Cavalry Regiment into the Iraqi city of Tal Afar and “liberating” it from Sunni insurgents, while essentially inaugurating the counterinsurgency tactics that would become the heart and soul of Gen. David Petraeus’s 2007 “surge” in Iraq. Only one small problem. McMaster’s much-publicized “victory,” like so many other American military successes of this era, didn’t last. A year later, Tal Afar was “awash in sectarian violence,” wrote Jon Finer, a Washington Post reporter who accompanied McMaster into that city. It would be among the first Iraqi cities taken by Islamic State militants in 2014 and has only recently been “liberated” yet again by the Iraqi military in a U.S.-backed campaign that has left it only partially in rubble, unlike so many other fully rubblized cities in the region. In the Obama years, McMaster would be the leader of a task force in Afghanistan that “sought to root out the rampant corruption that had taken hold” in the American-backed government there, an effort that would prove a dismal failure. Marine general Mattis led Task Force 58 into southern Afghanistan in the invasion of 2001, establishing the “first conventional U.S. military presence in the country.” He repeated the act in Iraq in 2003, leading the 1st Marine Division in the U.S. invasion of that country. He was involved in the taking of the Iraqi capital Baghdad in 2003, in the fierce fighting for and partial destruction of the city of Fallujah in 2004 and, in that same year, the bombing of what turned out to be a wedding party, not insurgents, near the Syrian border. “How many people go to the middle of the desert … to hold a wedding 80 miles from the nearest civilization?” was his response to the news. In 2010, he was made head of U.S. Central Command, overseeing the wars in both Iraq and Afghanistan until 2013 when he urged the Obama administration to launch a “dead of night” operation to take out an Iranian oil refinery or power plant, his idea of an appropriate response to Iran’s role in Iraq. His proposal was rejected and he was “retired” from his command five months early. 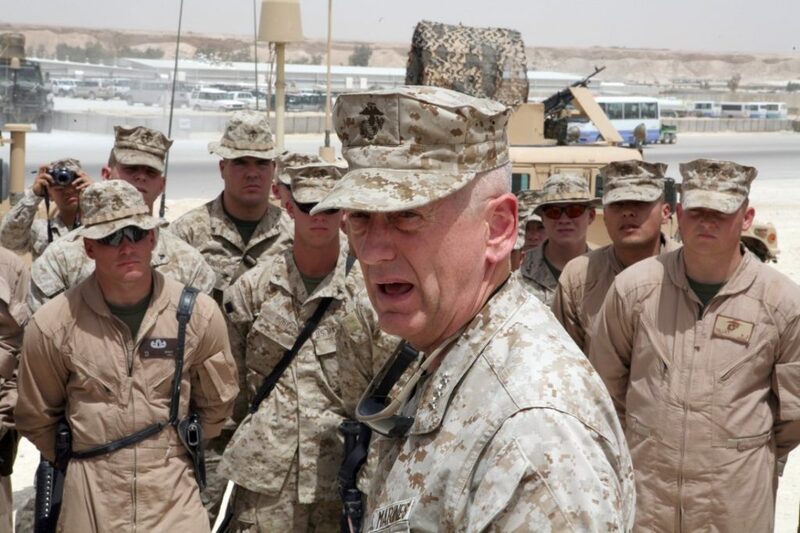 Retired Marine general John Kelly was assistant division commander in Iraq under Mattis, who personally promoted him to brigadier general on the battlefield. Present head of the Joint Chiefs, Gen. Joe Dunford, was an officer in the same division at the same time and all three reportedly remain friends. Though Kelly had a second tour of duty in Iraq, he never fought in Afghanistan. Tragically, however, one of his sons — who had also fought in Fallujah in 2004 — died there after stepping on an improvised explosive device in 2010. McMaster was among the earliest figures in the Pentagon to begin speaking of the country’s post-9/11 wars as “generational” — that is, never-ending. In short, you could hardly pick three men more viscerally connected to the American way of war, less capable of seriously reassessing what they have lived through, or more fully identified with the failures of the war on terror, especially the conflicts in Iraq and Afghanistan. When it comes to the “rubble” of American generalship in these years, Mattis, McMaster and Kelly would certainly be at the top of anyone’s list. Think of them, in fact, as the ultimate survivors of a system that at its upper levels is not known, even in the best of times, for promoting original, outside-the-box thinkers. They are, in other words, the ultimate four-star conformists because that’s the character trait you need to make it to generalship in the U.S. military. Original thinkers and critics never seem to make it past the rank of colonel. And as their “new” Trump-era Afghan policy indicates, when faced with their wars and what to do about them, their answer is invariably some version of more of the same — with the usual, by-now-predictable results. Now, let’s take one more step back from the situation at hand, lest you imagine that Trump’s acts, when it comes to those generals, are unique to our time. Yes, two retired generals and one still active in posts previously — with the rarest of exceptions — reserved for civilians do represent something new in American history. Still, this Trumpian moment should be seen as the culmination of, not a departure from, the policies of the two previous administrations. In these years, America’s generals have failed everywhere except in one place, and that just happens to be the only place that truly matters. Call Afghanistan a “stalemate” as often as you want, but almost 16 years after the U.S. military loosed the power of “the finest fighting force the world has ever known,” the Taliban are ascendant in that benighted land and that’s the definition of failure, no matter how you tote things up. In Washington, their generalship has been anything but rubble. It’s always been another kind of more — more of whatever they wanted, from money to surges to ever-greater power and authority. In Washington, they’ve been the winners ever since Pres. George W. Bush launched his Global War on Terror. What they couldn’t do in Baghdad, Kabul, Tripoli or anywhere else across the Greater Middle East and Africa, they’ve done impressively in our nation’s capital. In years when they unsuccessfully brought the full power of the greatest arsenal on the planet to bear on enemies whose weaponry cost the price of a pizza, they continued to rake in billions of dollars in Washington. In fact, it’s reasonable to argue that the losing conflicts in the war on terror were necessary prerequisites for the winning budgetary battles in that city. Those never-ending conflicts — and a more generalized fear of Islamic terrorism heavily promoted by the national security state — have driven funding success to staggering levels in the nation’s capital, perhaps the single issue on which Repubicans and Democrats have seen eye to eye in this period. In this context, Trump’s decision to surround himself with “his” generals has simply brought this reality more fully into focus. He’s made it clear why the term “deep state,” often used by critics of American war and national security policies, inadequately describes the situation in Washington in this century. That term brings up images of a hidden state-within-a-state that controls the rest of the government in some conspiratorial fashion. The reality in Washington today is nothing like that. Despite both its trove of secrets and its desire to cast a shadow of secrecy over government operations, the national security state hasn’t exactly been lurking in the shadows in these years. And for all of this, one thing continues to be essential: those “generational struggles” in distant lands. If you want to see how this works in a nutshell, consider a single line from a recent piece on the Afghan War by New York Times reporter Rod Nordland. Think for a moment about just that relatively modest part — a mere $6.5 billion! — of the U.S. military’s latest plans for a more-of-the-same future in Afghanistan. As a start, we’re already talking about six more years of a war that began in October 2001, was essentially an extension of a previous conflict fought there from 1979 to 1989, and is already the longest war in American history. In other words, the idea of a “generational struggle” there is anything but an exaggeration. Recall as well that, in January 2008, Brig. Gen. Jay Lindell, then-commander of the Combined Air Power Transition Force in Afghanistan, was projecting an eight-year U.S. plan that would leave the Afghan air force fully staffed, supplied, trained and “self-sufficient” by 2015. In 2015, Rod Nordland would check out that air force and find it in a “woeful state” of near ruin. So in 2023, if that full $6.5 billion is indeed invested in — perhaps the more fitting phrase might be squandered on — the Afghan air force, one thing is a given: it will not be “self-sufficient.” After all, 16 years later with not $6.5 billion but more than $65 billion appropriated by Congress and spent on the training of the Afghan security forces, they are now taking terrible casualties, experiencing horrendous desertion rates, filled with “ghost” personnel and anything but self-sufficient. Why imagine something different for that country’s air force $6.5 billion and six years later? In America’s war on terror, such things should be considered tales foretold, even as the losing generals of those losing wars strut their stuff in Washington. Elsewhere on the planet, the U.S. military’s plans for 2020, 2023, and beyond will undoubtedly be yet more landmarks on a highway to failure. Only in Washington do such plans invariably work out. Only in Washington does more of the same turn out to be the ultimate formula for success. Our losing wars, it seems, are a necessary backdrop for the ultimate winning war in our nation’s capital. So all hail America’s generals, mission accomplished!